If you are self publishing board books, it means you are focusing on the toddler set aged 1 to 3 years of age. Whether it’s colors, numbers, or the alphabet, children delight in learning about the world with a sturdy board book in their hands and an adult by their side. 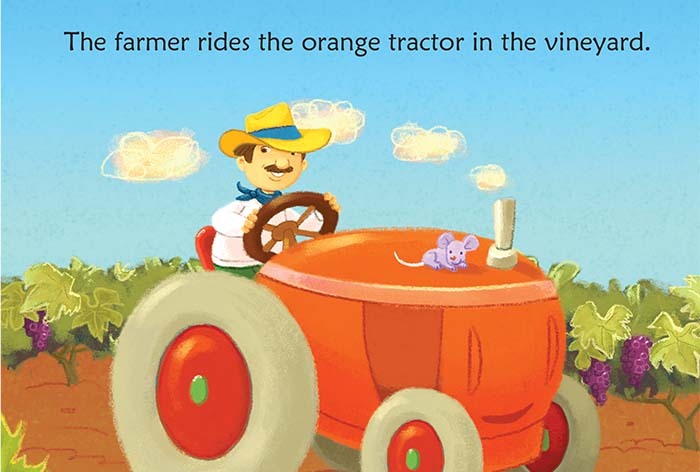 Callawind makes professionally self-publishing board books easy and fun. We can help you develop a strong concept that really connects with your toddler audience. Once design and layout are complete (by us or from your final PDF), we coordinate high-quality board book printing with one of our overseas board book printing partners. Currently the minimum printing quantity is 1,000 board books. Looking for info on how to publish a children's picture book? We provide custom quotes for whichever of our professional book publishing services you require. That means no confusing publishing packages for you to sort through. Only need a quote for printing? No problem. Go to our Book Printing Quote Form. We can also produce children’s picture books children’s pop-up books, children's novelty books, and children's lift-the-flap books. They tend to run about 12 spreads or less. The word count can run up to about 300 words. Because board books require specialized paper, equipment, and binding, they can be expensive to print in North America. For this reason, Callawind works with select China board book printers to help you produce a high-quality, professional board book at a much lower cost. White board (or white art board) is pressed cardboard made of white fibers and a white laminated surface. It is more expensive than gray board. How can you tell the difference? Look at the edges of different board books. You’ll notice that some have white fibers in the middle of the board, and some have gray fibers in the middle of the board. Board thickness is measured in gsm (grams/square meter). We recommend a thickness of 300 to 400 gsm. To avoid pointy edges, we can produce your children’s board book with rounded edges at the top right and bottom right of the board book. In addition, we use a UV varnish lamination instead of plastic lamination, which can peel away from the board (and into a child’s mouth). All of our overseas printing partners adhere to North American printing and binding safety standards for children’s books. Self publishing a children’s board book? We look forward to hearing all about it. Not all children's book publishers are created equal. Why work with Callawind?